Are you team Power Duo, Shadow Ace, or Junior Good Vibes? 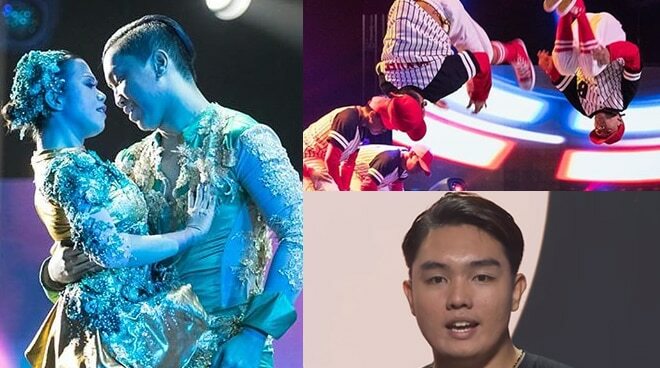 The Filipino talent is world-class, and it sure was in this season of Asia’s Got Talent as three acts representing the Philippines got to showcase their skills in the finals round of the reality competition show last Thursday, April 4. Dancing pair Power Duo, shadow puppetry artist Shadow Ace, and hip-hop group Junior Good Vibes were part of the nine acts that were named Grand Finalists, and all three lived up to their promise of bringing their A game in their final performances. For one, Power Duo, comprised of real-life couple Anjanette and Gervin, moved the panel of judges with their serene yet exhilarating act, so much that Korean-American artist Jay Park was convinced that they could very well win the show. Shadow Ace, a.k.a. Philip Galit, similarly wowed the jurors with his funny but moving performance. "It's a blank page and you turn into something," said music icon David Foster to Galit. "I can guarantee you that every single one of this audience couldn't wait what was going to happen in your performance." Meanwhile, the crowd couldn’t have enough of Junior Good Vibes’ funky yet solid baseball-themed dance routine, even having earned a standing ovation from the judges after setting the stage on fire with their remarkable talent. “You’re probably the most unique dance group and performance that I have ever seen, sitting in this chair in three seasons,” said Foster. All three can win Asia’s Got Talent’s grand cash prize of $100,000 (roughly PHP5 million). The online voting for the most favorite act will close on Thursday, April 11, at 12 AM (Singapore time).